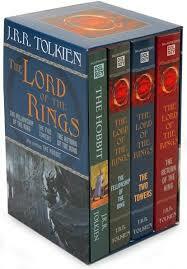 Dad and I finished reading The Return of the King and The Lord of the Rings. We'll probably read the Appendices and The Silmarillion. Eason & I started reading Lord Of The Rings this weekend. He wanted to skip the prologue, but I wouldn't let him. Things picked up in Chapter 1.